Later this month, cyber security experts and enthusiasts will gather to build, break, network, learn, and give back at BSidesSLC. XMission has proudly sponsored this important, community driven conference since 2015. Our own security and systems administrator, Aaron Toponce, will keynote on Friday, February 22 at 10 a.m. Aaron will present on cryptography (but, he also enjoys discussing Hobbits and Shakespeare). We know you’ll enjoy it! If you prefer to interface with XMission employees one-on-one and discuss things like UTOPIA, business services, and more, please stop by our table between workshops. 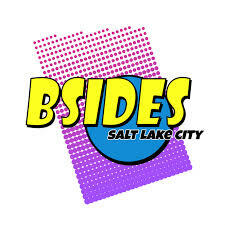 Organizers kicked off BSidesSLC in 2012, following the model of national organizers who started BSides in 2009 as an alternative (b side) conference for information security experts who could not present at Blackhat Vegas or DEF CON due to a lack of space and time. BSides organizers now execute conferences around the world. According to organizers, BSidesSLC is a community-driven cyber security event tailored to help individuals who have an interest in learning more about cyber security strike up invigorating conversations with cyber security professionals. This event allows people to connect, thereby forging relationships, strengthening our community and enhancing individuals’ careers. Please follow BSidesSLC on Twitter and Facebook for the latest information.